Before I discuss the meta and my new favorite deck, I want to praise Pokémon’s decision to re-work the structure for Worlds this year. 500 Championship Points was too daunting. You had to travel a lot (likely fly) to try and grind those Points, and even then, you needed luck on your side. Besides this, a lot of players knew early into the season that they couldn’t qualify, so they were detered from attending events they may have otherwise traveled to if they had been chasing an invite. Lowering the cut off to 300 Points makes it much more obtainable, and the change to a day 1 and day 2 World Championships is a more than serviceable adjustment to make this work. If activity on social media is any indication, players have been very receptive to this change, and a lot of players who had sort of stopped playing as much now seem invigorated to play more to try and get their invite. So from a player morale standpoint, this looks to be a massive success! In turn, I would have to imagine it will boost tournament performance, which with a structure involving entry fees, will make Pokémon more money. Which will help them fund the MASSIVE increase in prize support for the top 32 of Worlds! This was something that needed to be done years ago, and if an implementation of entry fees at events was what it took to make it happen, then I could not be more thrilled. I’ve made this point before and I’ll restress it: I am critical of the game when decisions are made which I feel are detrimental. I feel it is only proper to then praise decisions which are a huge step forward. This is one of the best ones in awhile! Great job TPCi. The two biggest pillars of the format are Donphan and Seismitoad. I am not even going to argue that these are the best cards or decks in the format for this to be true (though I do feel they are as good as any other decks or cards). The reason they get the spotlight is that they have the most oppressive strategies in the format. Seismitoad is the closest we have to a real lock deck, and some of the more dedicated builds are extremely disruptive. Between Hammers, Head Ringers, Garbodor, and shutting off Items while playing Lasers, the deck can shut down a lot of decks beyond putting up a competitive game. 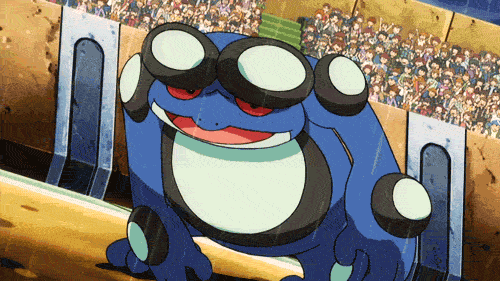 In most cases, Seismitoad’s strategy is so hard to overcome that you can’t take a run of the mill deck, splash a in few counter cards, and beat them. Donphan is similar, in that it forces decks to be able to get around Robo Substitutes and keep up with its exchanges. These two decks are proactively powerful, hard to tech against, and have polar opposite game plans. Donphan has been the most popular archetype, and I feel like Seismitoad, in all its variations, is the most popular Pokémon. These decks provide the entry barrier into the format. If you want to play a deck, you need to be competitive against both of these decks. If you beat one and can skew your list to compete versus the other, that’s fine. But these decks weed out a whole lot of cards and decks on their own. The next two decks I feel round out the top four are Yveltal and Metal decks. Yveltal can beat both Donphan and Seismitoad. I don’t consider it as format defining as the prior two decks because it plays on a normal level. Other decks can go at it head first and compete. It IS a deck you can tech for and improve your matchup against. Metal is fundamentally good versus Donphan and weaker against Seismitoad/Garbodor. Yet it is a rare example of a deck that can make inclusions that actually end up making it favorable against Seismitoad. That is one of the reasons I love Energy acceleration decks. They come with enough innate power that if they can disrupt disruption, the end result goes back to them having enough raw strength to win the matchup. This isn’t always the case, but this is an example of it being so. I spent a whole lot of time in testing finding ways to make Metal beat Toad and finally solved that problem. Aegislash feels justified at two copies. You really want to draw it in the matchups you want it, and a lot of those matchups can only MAYBE eat through one of them before the second one takes over. I do want 3 Dialga too as I feel it helps against Yveltal, but I’m not sure it is necessary. I wanted an 8th Metal Energy. Sometimes you run low on Energy to recycle. I cut a Battle Compressor for the eighth copy. Cobalion never did anything all Cities for me or for Carl, and we both agreed it should go. It originally was an answer to Safeguard and a way to disrupt Special Energy, but Heatran took over as the Safeguard answer, and against the Special Energy-heavy decks, you want to go Aegislash, so it kind of lost purpose and should have been cut prior to the event. Seismitoad was a workhorse all tournament, as it disrupted decks enough to get you fully set up. I wanted a second copy for sure. The problem is you want it Active early and you need to be able to retreat it. As a result, adding the second copy also brings the change of cutting AZ for a 4th Switch. These changes are still being tested. I’ll be the first to say right now that this is not the perfect 60 card list for Bronzong. The deck is GREAT. I would play it over any other deck without question myself. Yet the list is not perfect. It is improving and still being tweaked. Both of these lists are GOOD—I’ll confidently say better than any of the other Metal lists I’ve seen yet, but there is room for improvement and I’ll be tweaking my list more as I play through Cities. Changes aside, I’ll break down the numbers of the cards and their reasons for inclusion. This is pretty simple. You want these guys out early and in multiples. Ironically, you don’t really need more than two of them in play. You play a more defensive game plan, so your Pokémon don’t die as often, and the demand on your Metal Links isn’t as high as you’d think in most matchups. To top it off, you aren’t purging your field of Energy whenever you attack, so players have less incentive to Lysandre and KO Bronzongs. They do not die nearly as often as an Eelektrik NVI did, I’ll say that much! 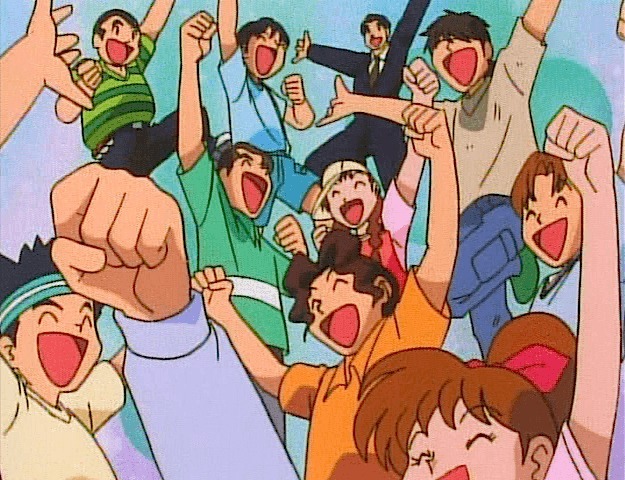 I also started testing the deck with Pokémon Fan Clubs, thinking I needed to flood the field with Bronzors, and learned really quickly that the deck didn’t need that sort of devotion. This would not be a deck jamming 4 Ultra Ball and 4 Level Ball to try and spew 3 Bronzong into play on the second turn every game; it’s grindier than that. As a result, adding too many cards aimed to force Bronzongs out is unnecessary. I’m not saying 3 Benched Bronzong on turn 2 isn’t awesome, but it’s excessive, and I’d rather have more cards for late game and to sway other matchups than to pad the deck’s speed. Against V/G and Yveltal, Dialga is your bread and butter. These decks rely on 170 HP EXs and Dialga specializes at nuking them. At 180 HP, Dialga is a chore for a lot of decks to KO as well, so this is the guy you’ll most likely be looping with AZ to heal. Chrono Wind is really good against Seismitoad and EX decks in general. Also, at a cost of [M][C][C], it is one of MANY attacks which can be pulled off on the second turn for a Metal and DCE which helps take pressure off of needing Bronzongs. I’d really like a 3rd copy, but I feel like 2 is going to be enough in most matchups now that we have widened the attacker pool a bit. This guy is an all-star in grindier matchups and in games where trying to sweep with a Dialga is going to be less appealing. Plasma cannot beat it. Donphan runs roughly 4 basic Energy, so yeah, good luck chewing through two of these, past healing. Night March, even with Dimension Valley, is so reliant on DCE to attack reasonably. Mewtwo is a quick attacker and was originally introduced as a means to combat Seismitoad. It is also not Weak to Fire-type attackers. The card isn’t terribly impressive but it is a nice catch-all that can be used to counter any Yveltal that tanks itself up to be able to try and OHKO a Dialga or Aegislash. Andrew Mahone (former Worlds competitor and the guy I played in Cities) was running I believe 3 Mewtwo in his deck, as he went for a more aggressive build. I’m not taking that route as I think it is weaker against the field overall, but it shows how the card has innate value in the deck. Nonetheless, it is towards the top end of cards I may cut, because its uses have dwindled with the addition of the next card I will discuss. This guy was added to the deck on Wednesday night after testing Quad Toad against the prior build. We played two games—me on Bronzong and Carl on Quad Toad—and the AZ, Mewtwo, Cobalion, and Xerosics gave me a pretty close matchup against Toad, despite splitting the games 1-1. Game 2, the loss, involved Carl going first with a T2 Garbodor and the full setup, and I still had to get really unlucky for a ton of turns, whiffing Energy and N’ing him into good hands, to lose a game I should have had won. Despite feeling at least 50-50, the games made me realize that even so much as one Seismitoad of my own would skew the match heavily in my favor. The way you lose to Seismitoad is by getting cut off from Bronzongs and being locked out of Energy by Hammers and Head Ringer. Well, if I ever get a Quaking Punch of my own off, it takes a Toad FOUR hits to KO mine if it aims to maintain the Item lock. That assumes it has a Muscle Band. If I get my Toad down first? That turns it into a six-hit KO, barring any AZ. If I get Quaking Punch off before they get a Garbodor online? I now have 4-6+ turns of Abilities to set up with before we break the stall. If anyone has played Toad mirrors, you know how miserable it is, and now imagine that one of the Toad mirrors has an incredible end game while the other merely has more Seismitoads. This was the main reason for including the one Toad initially. What ended up happening in practice though was that this line of thought applied fairly universally. Every time I had access to Toad, he was incredibly good, to the point where I included a second one. It slows other decks down, and once brought to your level, it is hard to find a deck that ends up beating Bronzong in a throwdown once set up. The obvious problem Bronzong has is a lack of speed and early attackers, and Toad and Mewtwo are the best cards to lead with. Cobalion and Mewtwo had originally served those roles, but Seismitoad has proven to be vastly superior to both. It is just so good that it may even end up pushing Mewtwo out of the deck altogether. This is the challenging part of trying to finalize a list for this deck. It reminds me a lot of Luxchomp in this regard, because you have a core set of cards you want to use, and the last spots are filled in an attempt to beat the rest of the metagame. The rotating spots make it so you end up adding cards for specific purposes, and after a while you have to go back and re-test against decks you had previously been strong against to make sure you didn’t take away too many weapons. There is a perfect balance of cards out there, but it takes a while and a real understanding of all the matchups to be able to get there. I feel like I am close, but not there yet. The biggest adjustment to make now stems from the fact that we had a lot of numbers in place to beat Toad decks, and now that we added our own Toads, we’ve got a whole different, better game plan for that matchup. Now we get to trim some of those cards back without weakening ourselves too much to reallocate spots to consistency and other matchups. Of course, the list can be adjusted for specific metagames too. I love how flexible the archetype is. It fits my playstyle perfectly. I touched on this before, but this is a deck that runs Battle Compressor and VS Seeker, and those slots correctly eat into your Supporter count. To offset that, you need Jirachi-EX. Plus, you run so many one-of utility Supporters that it is worth it. This is one of the few decks wanting to run AZ too, so you can offset it being such a liability if need be. Did I mention you can even attack with it? Heatran is the deck’s non-EX attacker. Clocking in at 130 HP, this guy is a very difficult kill. It is great for two-hitting EXs and sometimes dodges a one-hit kill in the process. It is also your best weapon against Donphan, getting you KOs on any of their Pokémon without exposing an EX. Sigilyph could be a bit of a problem for you otherwise. You really want two copies for that matchup alone. The card is also really important against decks like Tool Drop and Night March because you need to keep up with OHKOs using Pokémon that are not EXs. Bronzong can actually score kills in those matchups, so you actually do have a bevy of attackers to work with. You’ll learn one thing as you play this deck more, and that is that you approach every matchup very differently and you end up relying on a different set of attackers. This deck has a surprising learning curve to it because despite what a pair of OHKOing Dialgas may suggest, it lacks a real proactive Plan A that is effective universally. You have to craft a different approach to different matchups much more so than other decks. Spiritomb is mainly a concession to needing an answer to G Booster against V/G. It also is a possible draw attacker in bad spots. I’ve seen some decks try and splash Victini-EX with Victory Piece, and it coincidently stops that plan as well. I was actually at two of these originally, with a 4th VS Seeker and a 3rd Battle Compressor. It was running well, only not against Toad, so I gradually went back to 3 and then 4. With Toads to fix the Toad issue, -1 N +1 VS Seeker is greedy, but may be functional. I want a 9th Supporter, and this is your best end-game Supporter with VS Seeker because your Bench fills so well. Again, this is pretty self-explanatory, but you want to get out a bunch of Bronzongs AND discard Metals early. You also have a diverse array of Pokémon to attack with, so this is the easiest four-of inclusion imaginable. I had 4 VS Seeker and 1 Lysandre, but found myself wanting a 2nd Lysandre against Item lock. This is another card that is fairly easy to understand. I want a whole lot of copies of this card so I can pick apart Donphan. I feel good in the matchup, but I still don’t want to deal with being blocked out by Robo Substitutes either. I had originally run Max Potion and was convinced to do a 1-1 split of that and AZ. AZ was so good against Toad that I just switched over. A second one, now that we have Toad, is likely unneeded, so I transitioned it over the the extra Switch. Four potential AZ is enough. This is your answer to Garbotoxin. It also deals with greedy G Boosters and Special Energy. You can get away with a lone copy due to VS Seeker. I touched on this enough earlier that I don’t feel I need to go too much more into detail on it. Fairly obvious as well. If you wanted to really assure favorability against Yveltal-EX, the 3rd Dialga-EX and 4th Band sway that for you. I like the diversity. It also helps a lot against Donphan and can often act as an additional Lysandre in effect of taking a Prize. I love this card in the deck, but drawing the second copy is pretty awful. Two actually felt like the perfect number to me, but I needed to trim something for the 8th Energy, and this ended up being the casualty. I had Dowsing Machine because I wanted a 4th Switch effect, extra Muscle Band, and at a time a Max Potion. Now that we bumped the Switches to 4, I prefer having the Computer Search. I want the ability to assemble the Toad + Switch + DCE play early as often as possible too. With Battle Compressor, in some matches 7 was more than fine. Unfortunately, I feel like 8 is better in mirror. I also feel like I was missing my attachments occasionally and wanted to experiment with the 12th Energy. 7 may still be correct, but I figured I’d experiment with the 8th to see if I like it more. Every attacker benefits from this and it is necessary to make the Toad game plan work as well as it does. I started at 2 of them, and then moved up to 3,before jumping to 4 for the Toad inclusion. Battle Compressor #2: Originally cut for space. Still good. 4th VS Seeker: I think this is probably going to happen. Cutting Dowsing and an AZ makes me feel like this is necessary. Maybe the 3rd Switch is best served here. 2nd AZ: Good enough before, still good. Cut to experiment a bit. 2nd Mewtwo-EX: Mewtwos get better in pairs if Mewtwo wars happen. I prefer Toads at the moment, but it’s worth acknowledging as an option. Cobalion-EX: It could find its way back in depending how the meta evolves. It’s a good card! Just with the current configuration it wasn’t pulling weight. Skyla: As a one-of to Jirachi-EX for and VS Seeker, the card seems decent. Lysandre’s Trump Card: This card seems so counterintuitive, but if Night March gets popular and includes Flareon PLF or just develops in a way where they can build to beat us, this card seals the matchup. I want to include some of the other decks I like in this format. I really only like three archetypes, which I am sure you can guess from how I’ve talked in this article so far. I feel like the top four archetypes are Seismitoad, Bronzong, Donphan, and Yveltal decks. I personally dislike Yveltal. The deck always plays extremely poorly whenever I try to test it. I acknowledge it is good, but I have a personal distrust of how it plays. Here are the two Seismitoad decks I really enjoy at the moment along with my most current build of Donphan. This isn’t too out of left field, but I really like Quad Toad decks focusing on heavy disruption. A lot of decks are not going to be able to keep up with them. I’ve seen some players choose to run more Head Ringers, but I’m not very impressed by the card. It is necessary in the deck, especially against V/G, but I don’t want more than two. This is the only deck you’ll ever see me sleeve up Shauna in, so cherish it. Six Pokémon is too few to justify even one Colress, unfortunately. I’ve seen some lists with as low as FOUR Water Energy alongside the DCEs, and I think that is WAY too low. Carl and I tested a build with only four, and it was a HUGE detriment to the performance of the deck as a whole. The one card I would really like to fit in this deck is a Jirachi-EX. The big problem with this type of deck is that to fit all of the disruption, it is unable to include as many draw cards as I’d like. A Jirachi would help offset that. 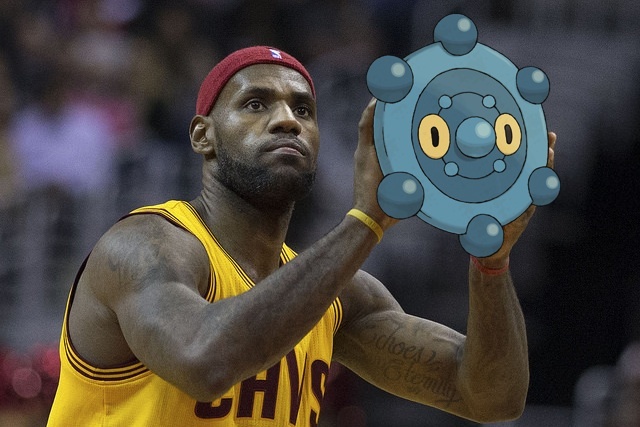 Unfortunately, you do run Garbodor so Jirachi is weaker. You also only have six Basics, so you can end up starting with it far too often. Computer Search is the obvious ACE SPEC for this deck as we’re running a deck that cares a lot about hitting a first turn DCE. This is another variation of the same idea, only adding 2 Manectric-EX and Lightning Energy over Water Energy. This is kind of nice because Manectric gives the deck some actual reach to it. Yveltal-EX can be good against Toad decks, and Manny is a great counter to Yveltal. On top of that, Manny is a good attacker against V/G. With Garbodor in play, Laser, and Muscle Band, Manny can hit for 170 damage. With Hammers and Head Ringer you can actually protect yourself from G Booster too! You’ll notice I upped the Head Ringer count to three because of its synergy with Manectric. I cut an Enhanced Hammer for it. I unfortunately had to go down to 5 Lightning Energy but I think it is fine, although I’d prefer six still. Now that we had 8 Basics, I could justify Jirachi-EX and Colress over Shauna and Bicycle. This build is a little less consistent, but it is more powerful and can clean up really well comparatively. For Donphan, the major changes to the archetype are to add in VS Seeker over bad Supporters and to cut the Outrage Pokémon for Robo Substitutes. Zekrom LTR is unnecessary, as is Reshiram LTR (Metal has Heatran PHF to OHKO it and V/G runs a Deoxys-EX now to hit 130 easily). Kyurem LTR stays in because it is really useful in mirror match. Hawlucha FFI helps against Seismitoad to a degree, and maybe a second copy is necessary for that matchup. Lysandre’s Trump Card lets you get more than 4 Donphan out and also loops Robo Subs. Of course, doing so resets the opponent’s Lysandres, so it is a bit of a double-edged sword. The combination of VS Seeker and Lysandre’s Trump Card is obviously insane. I’d IDEALLY like a 3rd DCE, but with Computer Search and Trump Card to recycle them, I don’t mind only having two now that we run less Outragers. I’m also a little unhappy to only have 2 Muscle Band, but I think the Silver Bangle split is important. Being able to two-shot an Aegislash-EX (40 + 30 from Bangle + 20 from Fighting Stadium) is a huge upgrade. A deck I find interesting, even if I am unsure if it is actually tier 1 or not, is Tool Drop. I don’t have a good list for it, but I assume a good starting point is 4 Trubbish PLS 65, 4 Sigilyph PLB, and a 2-2 Electrode PLF line to keep the deck flowing. Lysandre’s Trump Card is great for getting all the Tools back too. The deck is really fast and hits extremely hard. The revitalization of the archetype stems from the release of Dimension Valley. Trubbish now attacks for 1 Energy and is an incredible threat. The problem is it fails the Donphan and Seismitoad test. Or at least I think it did at first. I actually still have no idea how you can beat Toad, but I found Donphan to be a lot closer than you would think. The Tool which changes the Donphan matchup is Hard Charm. First of all, a Donphan needs 2 Strong Energy attached to it KO a Trubbish with a Hard Charm attached. The other approach is actually really far out of left field! You can actually fill a Sigilyph with 3-4 Hard Charms, and coupled with its natural Resistance to Fighting, you are taking 80-100 damage off EVERY hit from Donphan. So you can leave that Active, soak up hits, and whenever they get near to Wrecking, KO that Donphan with a Trubbish. I think that matchup is actually perfectly reasonable, especially as Donphan players will likely not know how to play the matchup properly. Instead of pairing 4 Seismitoad with Garbodor and additional Tools, this deck runs Delphox and Rare Candy. I LOVE all the disruption you get out of the Quad Toad decks, but as I mentioned, you have such terrible draw power in it. With Delphox, you get to have access to a ton of cards every turn. You get such strong synergy off of Lysandre’s Trump Card, having immediate access to all of the shuffled in cards off of Delphox’s Ability. On top of this, you can run a Blacksmith or two alongside a Charizard-EX. This gives you the same sweeping potential that you’d get with Manectric-EX, with a bit more stability. 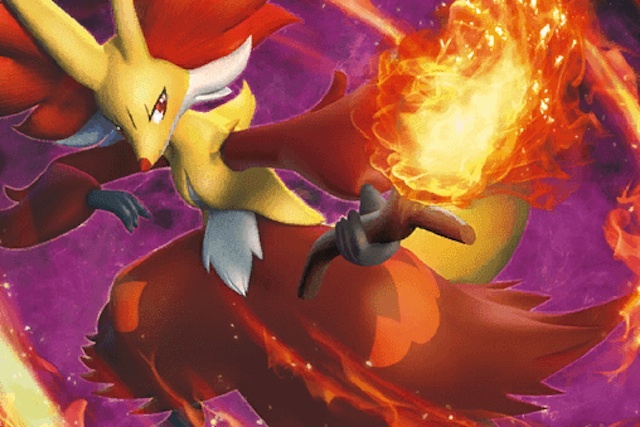 Delphox is also a stable attacker, hitting for 100+ damage fairly simply with Blacksmith acceleration. I brought the idea up to Carl the other night, and he was unsure about cutting Garbodor. I asked him what Garbodor was really good against. His response after thinking was “V/G and Metal.” He then paused and nodded. Having Fire-type attackers gives you so much of an edge in those matchups. Plus, you don’t really need to have Garbodor to beat Pyroar anymore. Delphox can sweep them, and you have an unlimited supply of Lasers. This deck I actually do have a starting point list for, unlike Tool Drop. I am curious how you all feel about me adding ideas and untested lists at the end of my articles. You know where I stand on what decks I think are the best in the format (I’m hard to impress), but I also spend a lot of time trying to think of rogue and innovative ideas. Sometimes I get around to testing them, and a lot of times they fall to the wayside. In this case, I have been such a huge fan of Bronzong that it has taken a vast majority of my testing time up. If I don’t have the time to test them, I would rather throw them out there at face value and see if anyone else wants to pick up the mantle and give them a try. I feel like it is better than letting them drift away unexplored. Anyways, in closing, I’m thrilled to have finally found a deck I feel comfortable with. Going into Regionals, I more or less hated every deck. This is a nice feeling to finally have again. I’ll be doing my best to endure the Cities grind in the upcoming months. Maybe I’ll see some of you guys around in my travels. Also, for those hitting up Cities, I implore you to test out LeBronzong and give it a shot! I think it is the best-positioned deck in the format once you get comfortable with all of its matchups. It can be built to be a favorite against whatever deck you want, the challenge is making all of its matches as optimal as possible within a 60-card shell. If you want to discuss the deck, and anything about it, feel free to message me! The fire has been lit again inside of me, and I’ve got the drive I haven’t had since … honestly well before I quit in 2011. I’ll leave it at this. 40/300. See you guys in Boston.